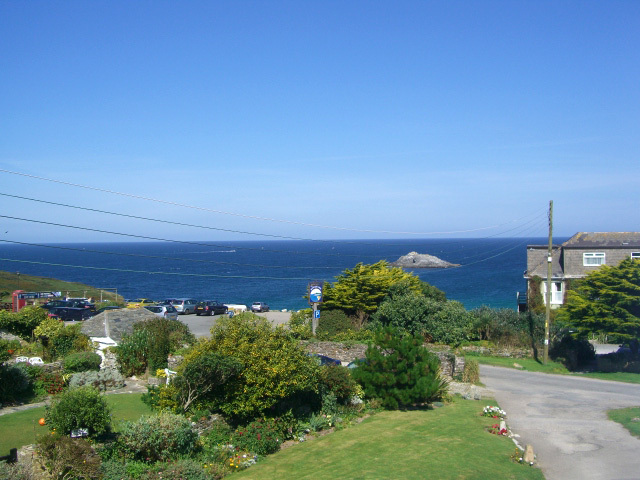 Atlantic View Self Catering Accommodation is situated in the hamlet of West Pentire on a headland with magnificent sea views as far as Trevose Lighthouse near Padstow. Within five minutes walk from your accommodation you have two beaches both of which are dog friendly; the first is one of Cornwall’s finest surfing beaches, Crantock Bay, recently voted number 1 “best beach” by the Telegraph travel supplement, with its Gannel Estuary and ferry crossing to a café serving fresh crab lunches and cream teas, a short stroll on is the famous Fistral Beach renowned for its surfing and major surfing competitions. The second beach is the idyllic local hidden cove of Polly Joke, a must visit on your holiday itinerary, a little further along the coastal foot path from “Polly”, seals can be observed basking on the Chicks Rock and for the more energetic walker you can reach Holy well with its sand dunes and vast beach. The village of Crantock with its picturesque church lies one mile away with a Post Office and general store, two inns and a tea room. Further afield by five miles is the cosmopolitan town of Newquay, renowned for its many attractions, including its beaches and working fishing harbour with local pleasure boat and fishing trips.